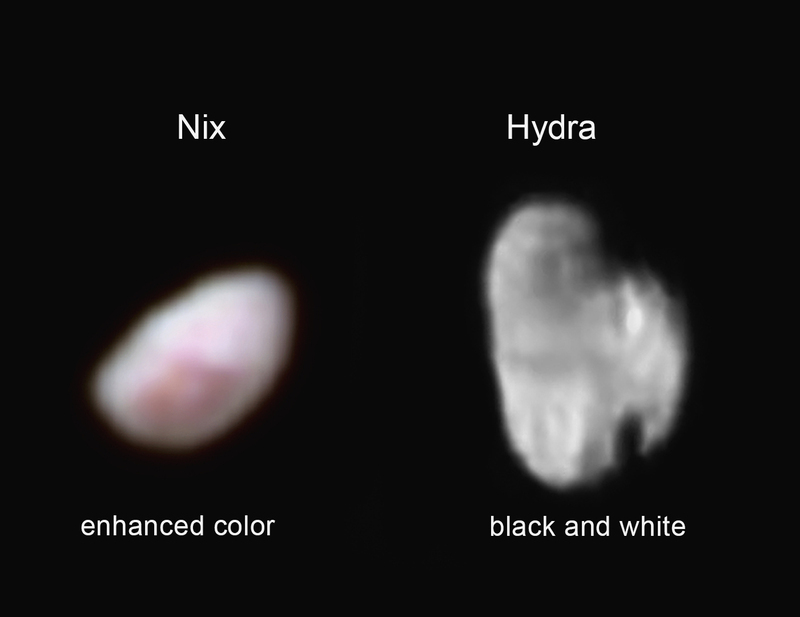 Two of Pluto’s mini-moons, the mysterious Nix and Hydra, have transitioned from featureless points of light into their own worlds with new imagery from NASA’s New Horizons spacecraft. The two moons, discovered in a Hubble Space Telescope in 2005, are about the same size. An image of Nix with exaggerated colors makes the tiny moon look like a jelly bean. A red bull’s-eye feature in the color data could be a signature of an impact crater, according to New Horizons’ mission scientists. The July 14 flyby of Pluto by New Horizons yielded the first views of Nix and Hydra, revealing their shapes and appearances for the first time. Nix is mostly gray in natural color, and it is about 26 miles (42 kilometers) long and 22 miles (36 kilometers) wide, according to a statement accompanying a NASA image release. Hydra’s shape is more irregular, and scientists compared it to the shape of the state of Michigan. Imagery of Hydra from New Horizons’ telescopic black-and-white camera apparently show at least two craters on the moon, and reveal Hydra to be about 34 miles (55 kilometers) long and 25 miles (40 kilometers) wide. “Before last week, Hydra was just a faint point of light, so it’s a surreal experience to see it become an actual place, as we see its shape and spot recognizable features on its surface for the first time,” said Ted Stryk, mission science collaborator from Roane State Community College in Tennessee. Going into last week’s Pluto encounter, many scientists believed the distant world’s five moons were created from a single large impact with ancient Pluto. Charon, Pluto’s largest moon, is about 750 miles (1,200 kilometers) across . 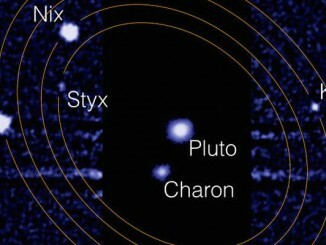 The speedy space probe also observed Pluto’s two smallest moons, Styx and Kerberos, during the flyby. 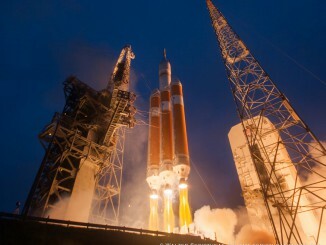 But those images will not be downlinked to Earth until as late as mid-October. 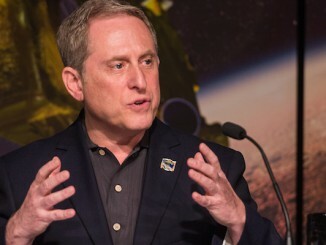 New Horizons searched for undiscovered moons on the final approach to Pluto, but data analyzed so far show no signs of any other satellites, a surprise to leaders of the science team.